There is nothing quite like Florida Strawberries! They have a the perfect juicy flavor and a smooth texture that no other strawberry can match. I can always tell a Florida strawberry with just one bite because it is taste perfection! 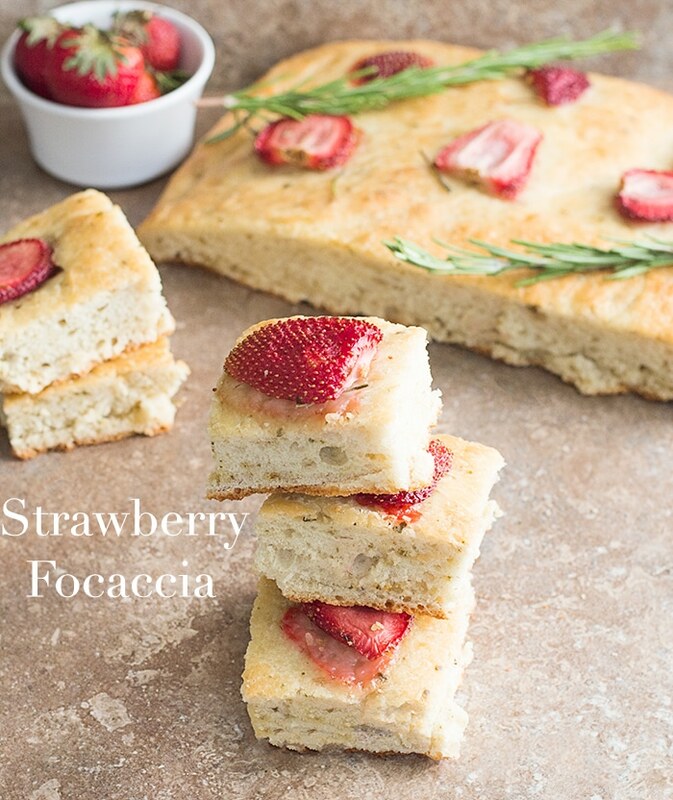 For this strawberry focaccia recipe, I just find that Florida Strawberries are the perfect match! I am willing to bet that the Florida sun is a huge contributor our delicious strawberry flavor. Sun-ripened strawberries make for the juiciest strawberries ever! The nutrition value of Florida strawberries legendary! Just 8 strawberries have more vitamin C than one orange. They don’t have cholesterol and they are fat free. I can eat one whole bowl of it and not feel an ounce of guilt! That bowl of strawberries is going to help me fight cancer and heart disease, too. I like having strawberries in my corner. I love what Florida strawberry is doing for its readers. You can get this rad cap from them for free and enter to win a free Florida trip! Seriously! How awesome is it to win a free trip to the sunshine state?? You can read all about how to win this trip by going to their site. Did you know that Florida strawberries are available fresh from the months of November through April every year! 3 of my local stores always have it in stock during those months. In fact, demand is so high for these strawberries, that I have seen them restocking it many times during the day. Their popularity is known far and wide. If your local grocer doesn’t carry them, talk to the store manager. They are always happy to carry delicious Florida strawberries. Go to their youtube channel and watch all their videos. What is your favorite strawberry recipe? So, what to do with this strawberry focaccia bread? 1) Use it as a dipping bread in my Greek Dipping Oil recipe! Trust me, the strawberry and all the spices makes for a great flavor party in your mouth. 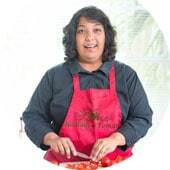 2) Make a bell pepper sandwich that is perfect for a quick lunch! 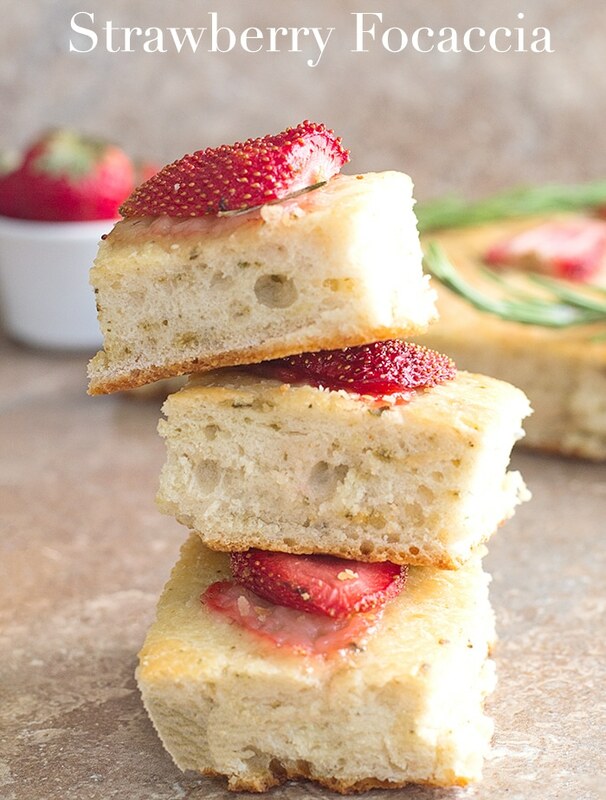 3) Make a cheese sandwich like my mozzarella cheese sandwich using this strawberry focaccia bread. I haven’t tried it personally, but, I think it will taste amazing. Mozzarella and strawberries always make a great combination. In a small bowl, add active dry yeast (fast acting), sugar and warm water. Mix the dough completely and then knead it for 10 minutes, until smooth. 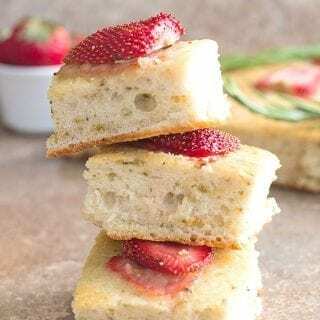 I just love the idea of this bread from the use of strawberries down to making it in the slow cooker! What a great idea! What a clever idea! I’ll bet those slow cooked strawberries are amazing! This recipe makes me smile! Growing up, my dad always made fresh foccacia and it is something I have never made and would love to try. I love the addition of the strawberries. I am already planning my Easter brunch with this. It has been so great chatting with you this weekend and I love your blog. I love that you can make this in the slow cooker! How cool is that?? I have never made bread in the slow cooker before. I’m going to make this recipe the first time. I love this idea! !